The Kingston Academy of Medicine is the local branch of the Ontario Medical Association, which can trace its beginnings to 1880. It is comprised of family physicians, hospital and community based specialists, residents and medical students. A historical summary of the branch is included on the website. 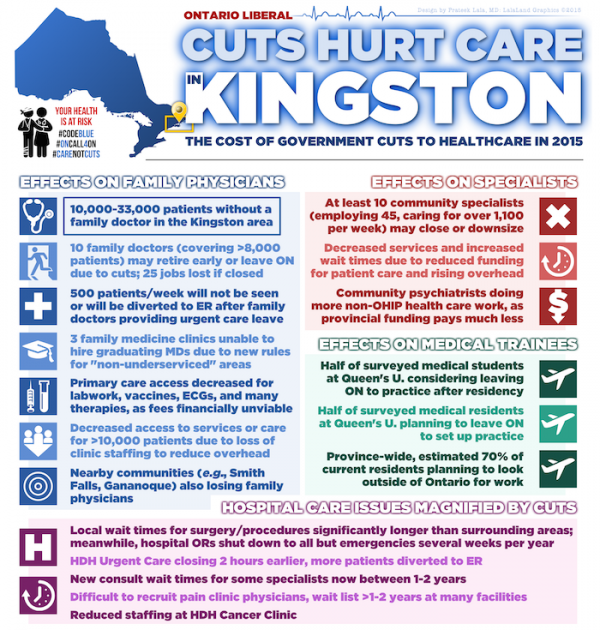 Kingston Ontario offers a variety of medical services including Emergency Medical Services at the Kingston General Hospital and Hotel Dieu Hospital, a Children’s Medical Clinic, and multiple After Hours Clinics. Telehealth Ontario’s telephone service is also available to provide medical advice 24 hours a day, 7 days a week. This website allows the Kingston Academy of Medicine to provide health care and medical information to the Kingston community as well as informing physicians of any upcoming meetings.